Every spring around the season of Pentecost (when Peter first preached in Acts 2 and about 3000 people responded) we have our annual baptism service. Every year Narnia offers a preparation for baptism for any kids 12 and older who are interested. Every year there are some kids from our congregation and some from non-believing families at Narnia that take this step to publicly declare their faith in Christ. So far, however, there has never been a year like this year. A total of nine people were baptized. 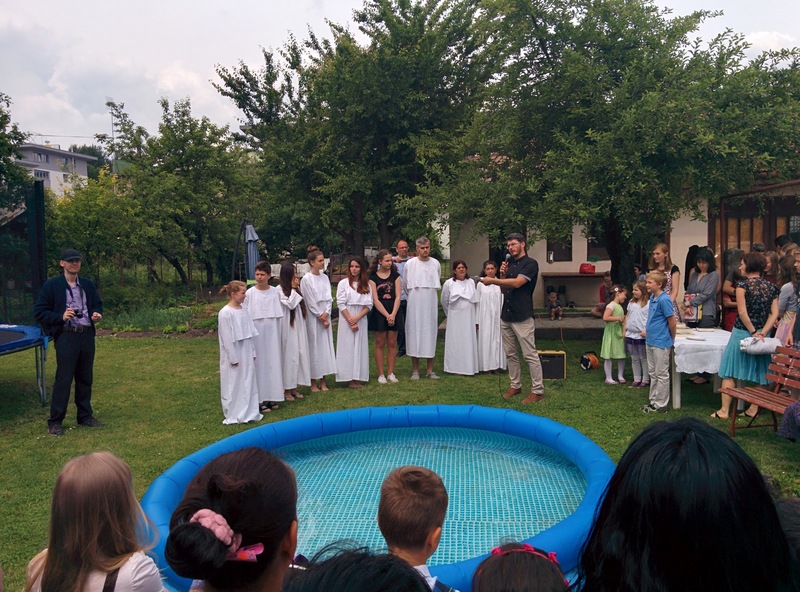 Of those, three were kids from families in our congregation, two came to faith through the ministry of Narnia Elementary School, one from the ministry of Fusion (which is also an outreach of our congregation), one from the personal evangelism of people in our congregation, and two from a Roma congregation in a nearby town. Thanks to the Lord of the harvest! It’s wonderful to witness the growth of God’s kingdom.